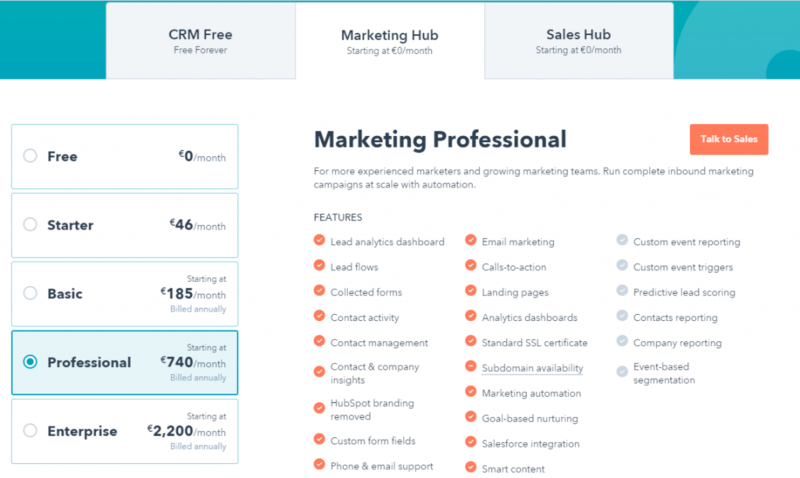 When building your B2B company you will face a dilemma – “should I put the price list on my website?”. 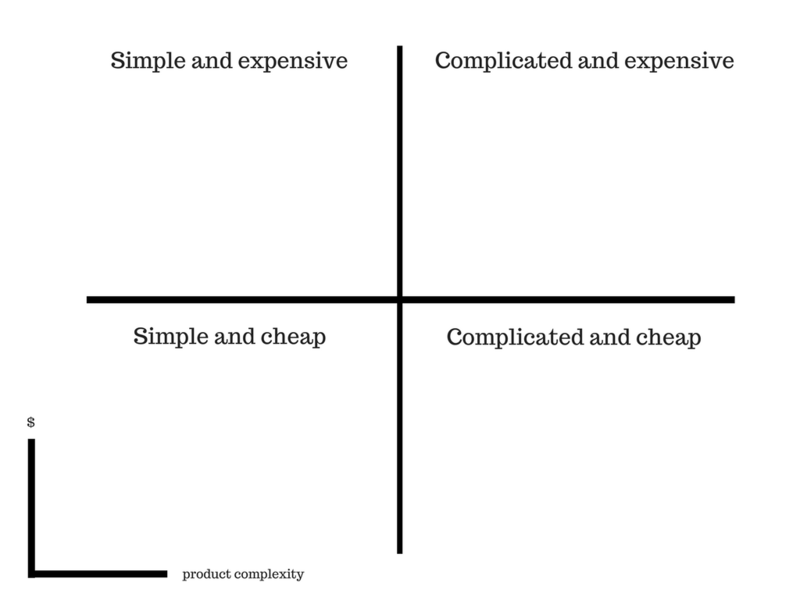 One of the most important issues to think about before making this decision is the subjective value of your product or service as well as its complexity. If your product always has to be adapted to customer needs and its price changes depending on this adjustment – it will be difficult to set a specific price for the product that can be predicted before contacting the customer. The same is true for services where the amount of work varies depending on the client’s order – we will not be able to set a predetermined price for a software tailored to specific needs and implementation of it, or a platform with a dedicated login access. Try to be objective with your answer – you may feel that the amount of work in relation to the price in your case is so high, that the price (although it is big) is still small – however, try to look at this issue from your potential customer’s point of view. How should you relate to the location of your business on the axes? 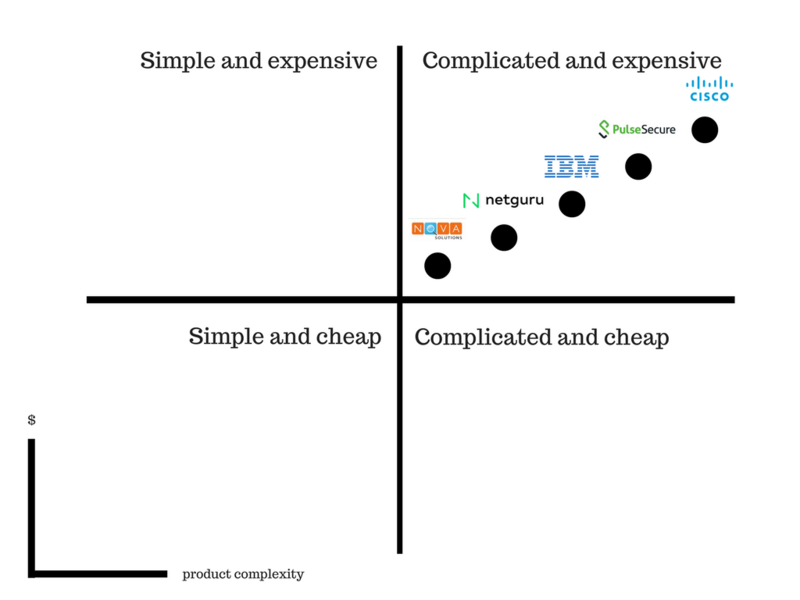 If you think that your product or service is simple and cheap – the price list on the website is probably a good idea. If, however, you deliver something simple and expensive, you definitely have to think about your project’s profitability – in B2B, simple things are rarely bought for a lot of money. Things complicated and cheap disrupt the sense and profitability of your business – if you sell things that require a lot of time and money cheaply, then you have to rethink the construction of your price list and positioning your service. 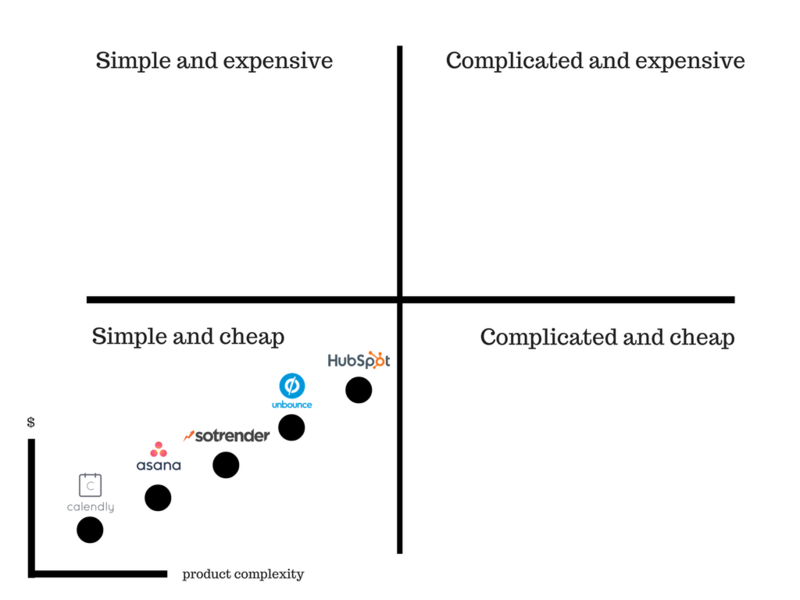 And what about products and services that are expensive and complicated? In this case, placing a price list on the site won’t be a good idea, because it can scare your visitors off. A good description of the product and its benefits with a contact call-to-action may work – then a potential customer contacts us, he is much more convinced of his need and much more able to pay even more money in exchange for amenities. In practice, sale of expensive and complex items usually require individual treatment of each client and the target group that buys is also used to the fact that they do not learn everything about prices in the first seconds of interaction with your company. Since we already know that simple and expensive products and services, as well as complicated and cheap ones are not a good idea, let’s take a look at the other two groups and their representatives – this will help you determine where your business is on this matrix. Calendly – Calendly helps you schedule meetings without the back-and-forth emails. It’s easy to set up, clear to use and cheap – so they have every right to put the pricing on their website. Of course it gets more expensive when it comes to paying for premium account for every salesperson in your team but $8 per person sounds nice. NOVA Solutions – an Internet marketing firm, which provides big range of internet marketing services such as Web Design, SEO, Remarketing, Pay Per Click management, Video Production, etc.If you want to know how much you’ll pay – you have to ask them. Netguru – Netguru is a mobile and web development company, which provides consulting services in product development, creating software solutions, and product design. You won’t find their pricing list or hourly rates online. IBM – IBM is a multinational technology company too, they manufacture and market computer hardware, middleware and software, and provide hosting and consulting services. You won’t find any pricing here either. Pulse Secure – Pulse Secure provides a consolidated offering for access control, SSL VPN, and mobile device security. 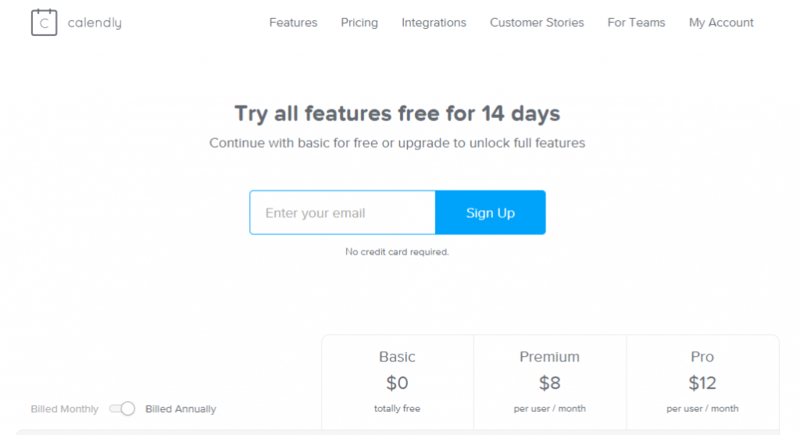 Their services and products are complicated and expensive, so they decided not to show their pricing online. Cisco – multinational technology conglomerate that develops, manufactures and sells networking hardware, telecommunications equipment and other high-technology services and products. And guess what – you won’t find a pricelist on their website. Creating a price list is a difficult and time-consuming task. Few things, however, have a greater impact on profit margins and, as a consequence, the profitability of the company than this element of your business. Communication designer and lawyer, who decided to dedicate her life to marketing. Social media law freak and coffee lover.